Will 2017 go down in history as the year we failed to heed the warning about artificial intelligence overthrowing humanity one stone at a time, because we were distracted by swapping faces with our friends, our pets or nearby breasts? Perhaps. Face-swapping apps aren’t actually new – several have been around since 2013 – but they have become this year’s mobile craze, in a lineage that includes Draw Something, Dubsmash, Flappy Bird, FatBooth and (in the earliest days of Apple’s App Store) virtual pint-drinking and lightsaber apps. The craze may only last as long as it takes for the next novelty app genre to emerge, but in the meantime, here is one app for giving face-swapping a go – SwapMe. What is SwapMe all about? 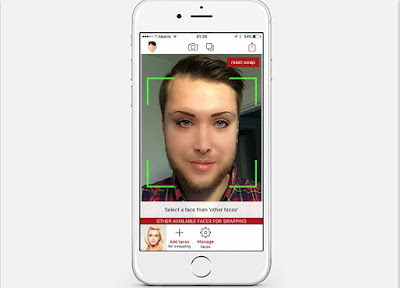 SwapMe is a powerful photorealistic face swap app created for all iOS users. It offers 100% of automatic face swapping and it is capable to preserve the face expressions. The app is designed with high-quality graphics and endless fun features.